Whatever you're doing this weekend, check out Sporadic Reads and join in on her Weekend Readings. 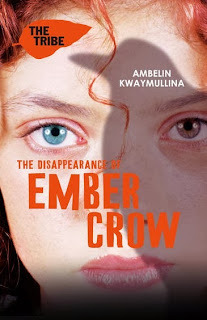 The Disappearance Of Ember Crow by Ambelin Kwaymullina. However this ends, you're probably going to find out some things about me, and they're not nice things. But, Ash, even after you know, do you think you could remember the good? And whatever you end up discovering - try to think of me kindly. If you can. Ember Crow is missing. To find her friend, Ashala Wolf must control her increasingly erratic and dangerous Sleepwalking ability and leave the Firstwood. But Ashala doesn't realise that Ember is harbouring terrible secrets and is trying to shield the Tribe and all Illegals from a devastating new threat... Her own past. After reading The Interrogation Of Ashala Wolf by the brilliant Ambelin Kwaymullina, I've been itching to continue with the series. The second book tells the story of Ember Crow, Ash's best friend and member of The Tribe. After your review I saw The Interrogation of Ashala Wolf at Big W and gave it a good look. I'm interested in seeing how the series continues. Enjoy your weekend, and hope you LOVE Catching Fire as much as I did! Thanks Jeann, seeing it later today. I'm reading the sequel at the moment, The Disappearance Of Ember Crow and it's brilliant so far. Hey Giselle, lovely to see you again. I loved Catching Fire, my only complaint is the long wait until Mockingjay will be released. I've heard it'll be in two parts, like the final Harry Potter and Twilight movies. Ember Crow is the second book in The Tribe series, the first being The Interrogation of Ashala Wolf. It's so much more than the average young adult dystopian, it's definitely one to be added to your list.